The latest Continental represents a giant leap forward, and now offers genuine driver engagement alongside the expected GT brief. Just as the Bentayga is setting Bentley on a new path to sales success, production records and, crucially, starts a new chapter in the British manufacturer’s 99-year history, over 15 years ago the original Continental GT was arguably just as an important model for the Crewe based firm. 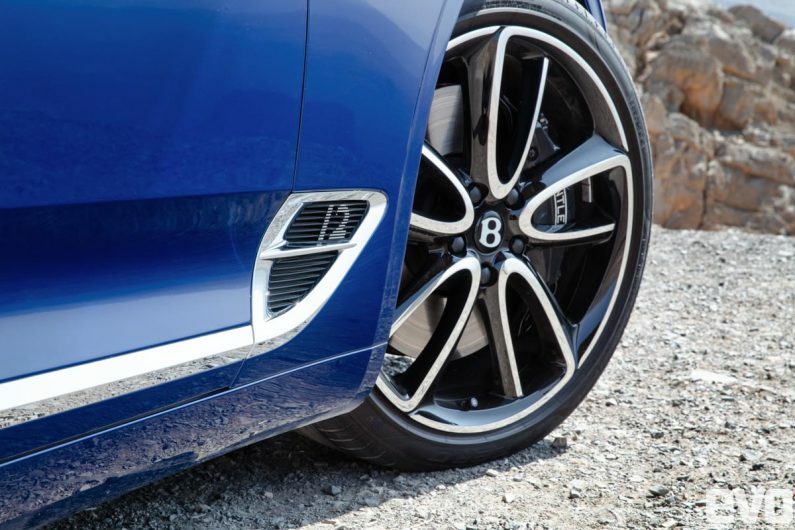 More so, perhaps, considering it was the first all-new model since VW had gained control. Based on the same platform as the then VW Phaeton executive saloon, the original Conti GT proved to be a good GT car, albeit not a great one – not even when it was revised and significantly improved in 2011. Considering the components the engineering team had to work with, the finished result was commendable, but you always felt that behind the veneer and polished aluminium the car’s roots where never far from the surface. 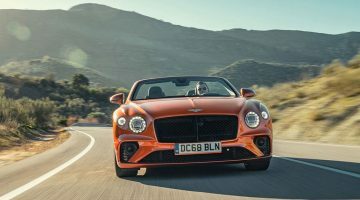 Now, though, the Conti GT has been completely re-engineered, to a point where Bentley claims the car is 100 per cent brand new, which is a good thing because it faces plenty of competition in the form of cars as diverse as the Aston Martin DB11 and Ferrari GTC4 Lusso. And the good news is the Bentley looks, drives and feels a whole lot better this time round. The big news this time is that the GT shares its underpinnings not with a humble VW but, instead, with those of the Porsche Panamera. And this time, rather than having to work with hand-me-down parts from the VW empire, Bentley’s engineers were involved with Porsche, right from the word go, so they could dictate exactly what they were going to end up with which has made a massive difference to the end product. The chassis and suspension of the new GT are arguably the areas in which it has improved the most, and there are numerous reasons why. For a start the engine is set around 150mm further back in the chassis than before, which in itself makes a huge difference to the GT’s fundamental balance. At the front there are double wishbones with a multi-link arrangement at the rear, but at both ends there is a three chamber air suspension system with a 48V electronically “active” anti-roll bar, and it’s these elements specifically that provide the biggest increases in control. At its heart the Conti GT is still powered by a 6.0-litre twin-turbo W12, but despite featuring the same capacity and a similar fundamental design as the previous W12, it is genuinely a brand new engine, mated to a brand new dual clutch gearbox that is essentially Bentley’s interpretation of a Porsche Panamera’s eight-speed dual clutch. The outputs are as eye-watering as you’d expect. Maximum power is 626bhp at 6000rpm, while maximum torque is 664lb ft and is developed as a flat peak between 1350-4500rpm. Mated to a launch control system, this is sufficient energy to fire the 2244kg GT to 100kph in a faintly ridiculous 3.6sec and to a top speed of 330kph. And blimey does it feel blisteringly quick in a straight line. The way it summons its energy with such effortless efficiency and simply propels you towards the horizon, as if you’ve been released from a giant bungee cord at the very extreme of its tension is deeply impressive. The sense of acceleration is total, yet the sense of control – as if everything is going to be just fine, despite the fact that you appear to be travelling at Mach 2 for much of time – is also all encompassing. The brakes are the biggest seen on any production road car, with 420mm steel ventilated discs at the front and 380mm rotors at the back. And as before the GT is four-wheel drive – and needs to be with that much torque available from such low revs. But the way in which the power and torque is deployed has been radically altered in the new car, and switching between the three different drive modes available is key to the distribution of energy, and to the personality of the car in general. In Comfort mode up to 38 per cent of the engine’s torque will reach the front axle, which means the GT essentially feels like a cosseting four wheel-drive limo. At the same time the maps for the dampers, throttle, gearbox, ESP and exhaust all settle into their most relaxed and least intrusive settings, and as such the GT goes properly into waft mode. 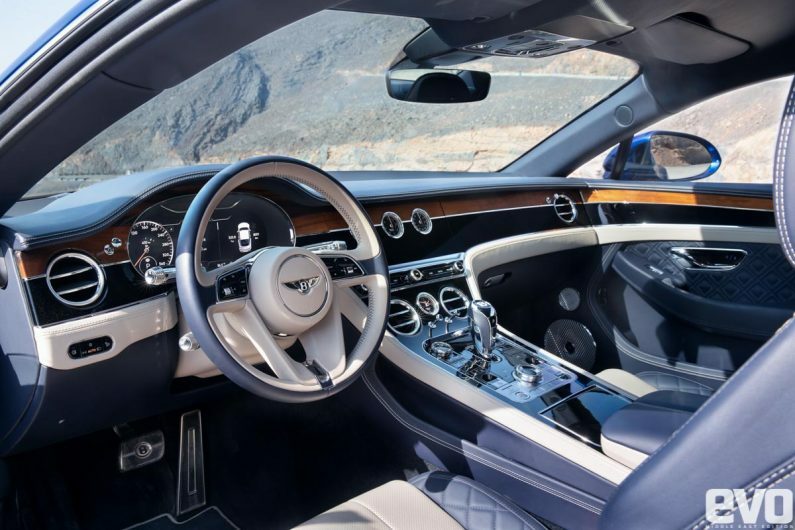 Its steering however remains the same across all modes, unless you go deep into its menus and select Custom mode, in which you can alter everything to your own tastes.The next mode up is Bentley mode, and that’s the one in which the engineers believe the car gives of its best when being driven on the road. It’s a touch more sporting everywhere than in Comfort but still retains a sizeable dose of soothing refinement. 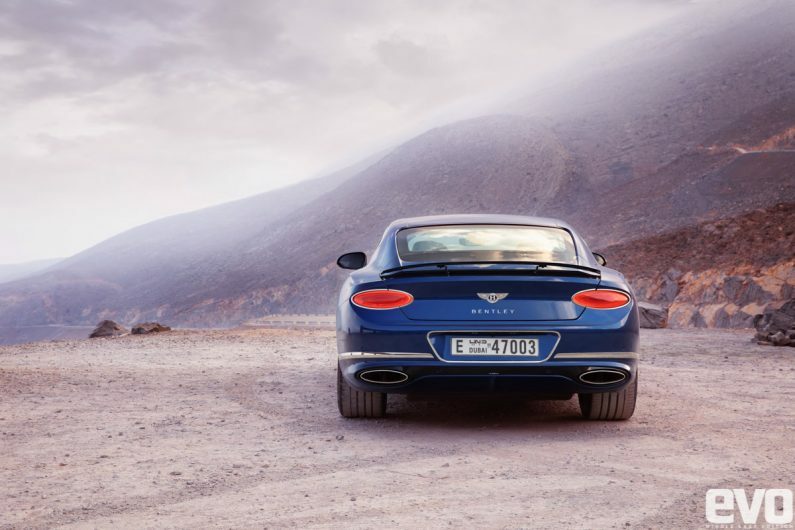 There is a delicious, deep-rooted sense of serenity about he way the GT glides across the landscape in Bentley mode. It purrs. It floats across uneven ground with a genuine feeling of majesty. And it’s also quiet, whisperingly so if you sit back and really think about it. And the cabin quality, of course, is quite exquisite.Yet at the same time the GT feels properly sorted on the road dynamically, because it somehow manages to disguise its vast weight to a point where, just guessing, you might think it weighed only 1700 or so kilograms, not two and a quarter tonnes. That’s how crisp its responses are, how nimble it feels, despite the silly numbers. 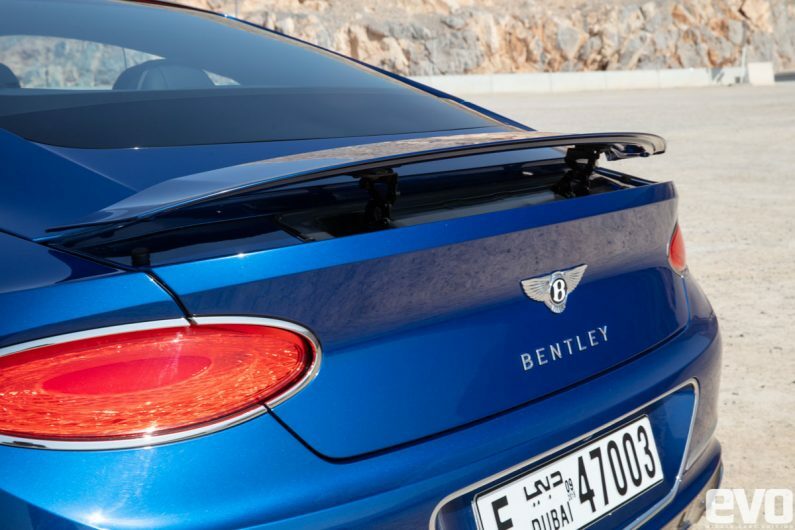 But it’s not until you select Sport mode and attack a challenging road like todays Jebel Jais route that you can fully appreciate how far Bentley has gone with the car’s dynamics this time. Do this and it goes to a level that is WAY beyond anything you might expect of it, so far beyond the previous version that you’d have a job to associate one with the other. 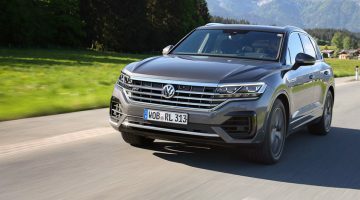 In Sport mode only 17 per cent of drive goes to the front axle, and everything else is set to deliver maximum sporting thrills, especially the exhaust and throttle maps. And the electronic suspension. In Sport mode the new GT feels, well, not quite like a full-blown sports car but at the very least like an extremely sporting GT car. And if you turn the stability control off it will do things and reach angles of slide that a previous GT owner would never, ever believe possible. Sideways thrills are delivered in complete and rather beautiful control – to a point where you can actually use the weight of the thing to put it in places, and at subtle angles, that actually benefit the lap time. That’s how adjustable, but also how well behaved the new GT is, if and when you take it by the scruff and throw it around. Yet at the other end of the scale it is more comfortable and more refined on the road than ever before. And in the flesh it also happens to look about 10 times sexier than the last one as well. Where the new Conti GT really impresses is how it manages to meld all of the above into such a rewarding and engaging package on the kind of demanding and twisting roads where the previous car become so unstuck. 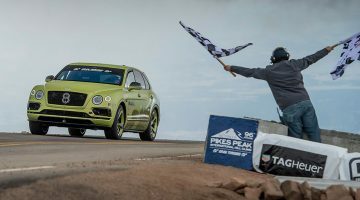 This new found level of precision provides Bentley’s new Continental GT with a whole new deck of cards to play with, allowing it to deal out exactly what it requires in order to deliver a full house driving experience. That it manages to do so on the road without sacrificing ride comfort while allowing you to turn the wick up further when the roads get interesting makes the new Conti a remarkably impressive piece of kit. For sure, this is the best GT car in the world right now.